Our first school year at home is quickly coming to a close. 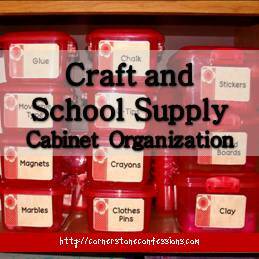 We have loved using our school room we organized last Spring but there is one space in our school room I never got around to–our craft and school supply cabinet. You know the saying “failure to plan is planning to fail?” That quote is usually used to refer to goal setting but it could also easily be used to describe organization. When you fail to plan where you are going to put things, you are planning on failing when it comes to putting things away. That describes our former craft cabinet to a T.
I have to say you will not believe how different the before and after pics look on this project so be sure to click on over to read the full post, leave a comment and check out Ginny’s blog. 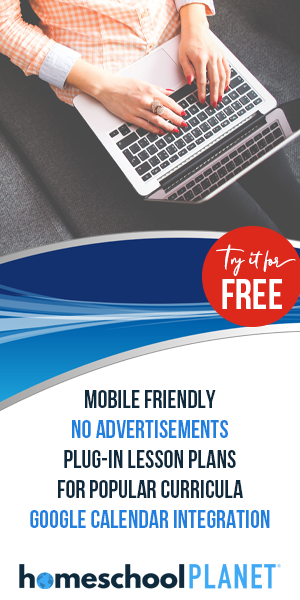 While there, you may want to check out her large resource of home keeping printables and be sure to tell her that Kathy at Cornerstone Confessions set you!